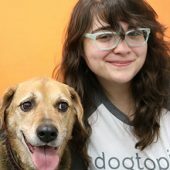 As Dogtopians, we’re a unique breed! 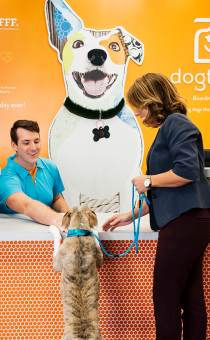 We love and care for your pup like our own furry family, and we’re your village of knowledge for raising a happy, healthy dog. 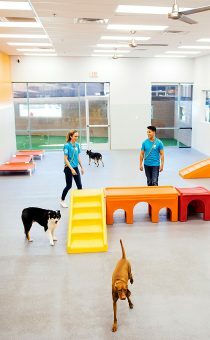 Our pledge to you is that your pup will always be in great hands with us. 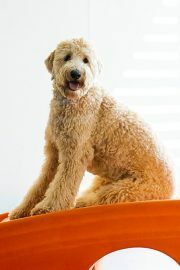 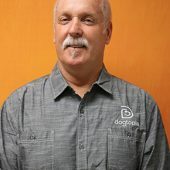 Neil Gill is CEO and President of Dogtopia Enterprises. 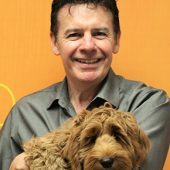 Neil has spent more than 35 years in franchising with international brands such as KFC, Pizza Hut, Brinker International and more than 11 years at Gloria Jean’s Coffees International as CEO, opening more than 1,000 stores across 39 countries. 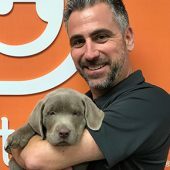 He has experience in taking franchise brands through IPOs and worked in a variety of sectors from on-line education, weight loss, bakery and Asian tea. 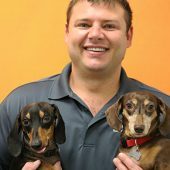 Neil has a love of franchising and the entrepreneurial spirit it enables in everyone involved. 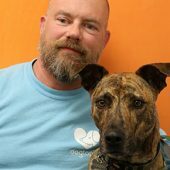 Bryan grew up in Colorado and is an avid Denver Broncos fan. 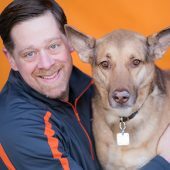 He graduated from BYU in 1988 with a Masters in Accounting. 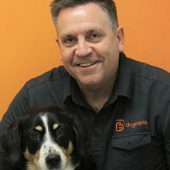 After stints with Arthur Andersen, Pacejet Logistics, and most recently with Entrepix (all in the Phoenix area), Bryan has been working with Thomas Pride/Dogtopia companies as the CFO since October 2015. 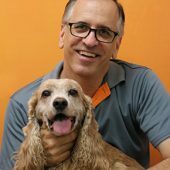 Bryan lives in Mesa, AZ with his wife, the greatest dog named Belle, and their six kids drop by on weekends or during school breaks. 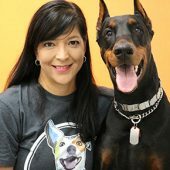 Alex has been in the franchise industry for 24 years. 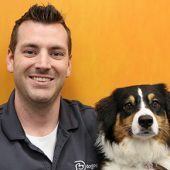 He began his career in Operations, opening and running restaurants for Papa John’s Pizza before becoming a franchisee in 1996. 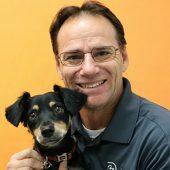 He was a franchisee for a total of 11 years: building opening and operating 34 restaurants in 4 years (nominated “Franchisee of the Year” three times). 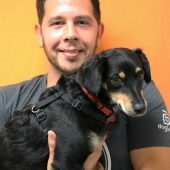 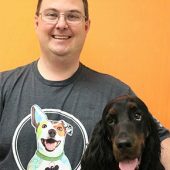 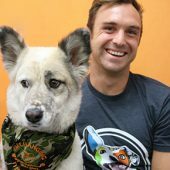 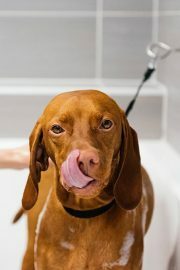 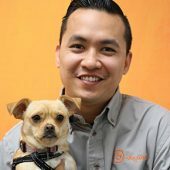 In 2000, Alex was also the first franchisee for a mobile pet grooming concept and started his own franchise in the health & wellness industry in 2010. 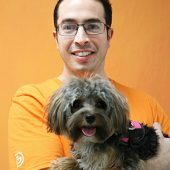 Before joining Dogtopia in January2016, Alex had been an investor and consultant to emerging brands while serving on several Boards. 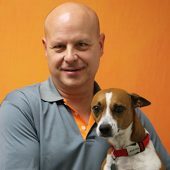 Mr. Samios grew up in and around the franchise industry – his father was the first franchisee for Jiffy Lube. 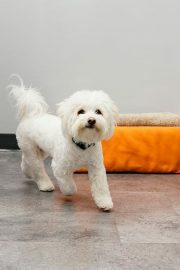 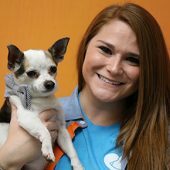 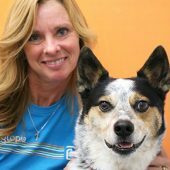 Kim Hamm is the Vice President of Operations at Dogtopia. 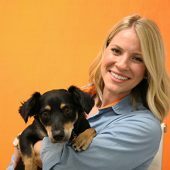 Her key responsibilities include overseeing the Support Office operations, training and corporate store teams, implementing new strategic initiatives, and driving comp growth across the system. 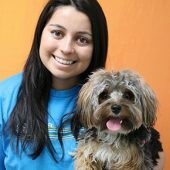 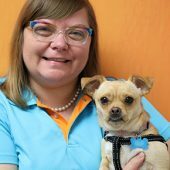 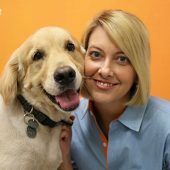 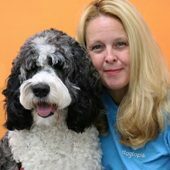 Kim has been with the brand since September 2015, and was previously a member of Thomas Franchise Solutions who partnered with Dogtopia as a strategic investor in 2012. 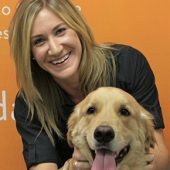 Kim is a dual citizen of Canada and the US and her prior background includes 10 years of hospitality and hotel management in Canada. 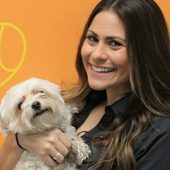 Prior to receiving her Bachelor of Commerce degree in entrepreneurial management, she served a six-year tenure at a boutique resort in Tofino, BC, which yields the highest REVPAR production ranking amongst hotels in Canada, where she held various positions including Business Analyst, Controller and Director of Operations. 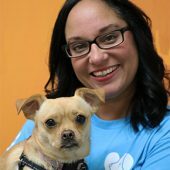 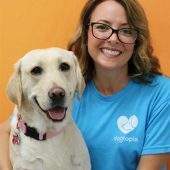 As Vice President of Marketing, Shelley Parnell manages Dogtopia’s external agencies and sets the strategic direction of the Company’s marketing and communications. 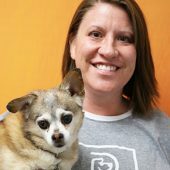 Shelley began her career with 10 years in the agency world, servicing a broad range of clients including Starbucks, Quiznos, Safeway, Mercedes-Benz, Sheraton and America West Airlines. 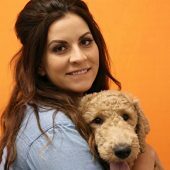 She has since owned her own PR & marketing consulting company, served as vice president of marketing at the Greater Phoenix Economic Council (GPEC) and managed marketing and investor relations in the biotechnology space. 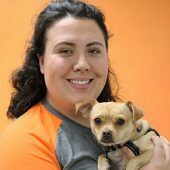 She lives in Phoenix with her husband Andy, two kids and Murphy the Golden Retriever. 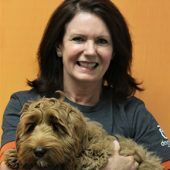 As Vice President of New Center Development, Kathy Halter drives new store construction and implements strategic growth initiatives. 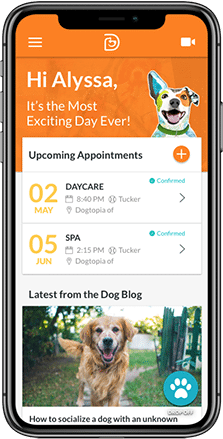 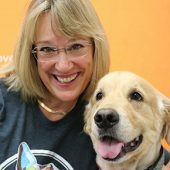 While fostering design innovation and managing vendor relationships, Kathy’s sole mission is to produce best in class dog daycare centers for pet parents and Dogtopians. 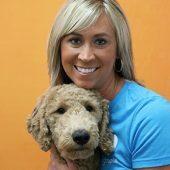 Her career began as a multi-unit operator with KinderCare before she moved up through the company over the course of 20+ years. 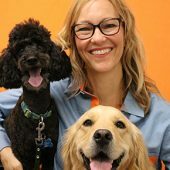 She developed and delivered on new school growth strategies through new builds, mergers and acquisitions, and corporate onsite solutions to produce more than 200 centers during her tenure. 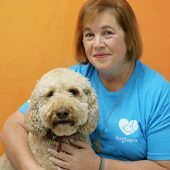 Kathy attended college in North Carolina at Appalachian State University and then relocated back to her hometown of Phoenix with her daughter Emmie and two awesome Doodles, Mabel and Mimi. 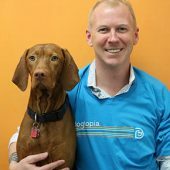 After the tragic loss of his son in 2000, Thomas decided to focus his time and energy on social entrepreneurship, and to share his experience and philosophy of values-based living and leadership with others. 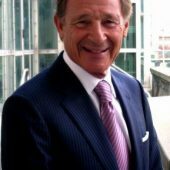 He is currently the Founder and Chairman of Thomas Franchise Solutions Ltd, LifePilot, The Todd Thomas Institute for Values-Based Leadership at Royal Roads University in BC, Canada, and Chairman Emeritus of the Entrepreneurs’ Organization (EO).